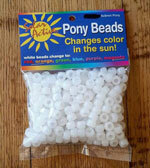 All new color change jewelry features UV beads that change colors in the sunlight! 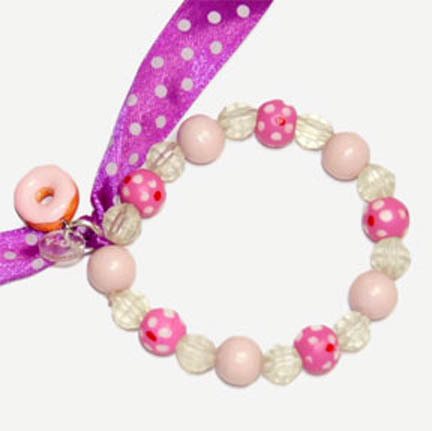 This bracelet features a pink ribbon and beads with polka dots, color changing pony beads and a unique donut charm. SolarActive® color changing jewelry is powered by the energy of the sun and SolarActive® color change technology. Buy this UV color changing bracelet for yourself or as a fantastic holiday gift! © 1996-2019 SolarActive® International, Inc.
Dont be fooled by imitation inks. Make sure your ink has the genuine SolarActive logo! SolarActive is the worlds leader of color changing technology clothing, footwear, accessories, toys, world famous color change nail polish called Ruby Wing, tee shirts and apparel. All our unique products change color in the sun. SolarActive color-changing products are one color inside, and instantly burst into color outdoors. Ruby Wing color changing lacquer does the same thing! The color changing process is repeated over and over again when exposed to UV/sun. It's not about your mood, or body temperature like hypercolor, it's about the uv/sunlight. It can be winter, spring, summer or fall, all color change products still change colors. Products and technology made in USA. SolarActive has received Material Excellence Worldwide since 1997, Certificate of Merit awards for our color change inks and embroidery threads, Best new Product awards, and Small Business Commerce awards of excellence. Occasionally we offer products manufactured with SolarActive technology made by other companies.